In this week's episode of â€œS.O.S. My Bank Account Needs You,â€� weâ€™ll be exploring my unabashed love of the statement earring â€” more specifically, the dangle and drop variety. To prove that I am an authority on this esteemed subject, I offer this piece of evidence: this summer, I got my hair cut into a bob for the sole purpose of better showing off my collection. 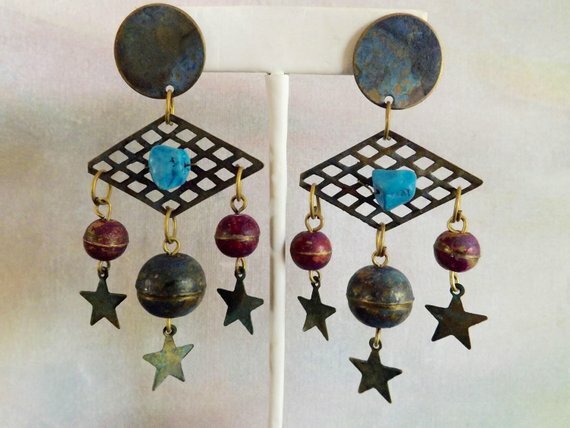 Unfortunately, the vintage earring game where I live (save for here and here) is very weak, leaving me to my own devices on the world wide web. Like any good magpie, I mean curator, I am constantly bookmarking pairs to eat up the rest of my rainy day funds. 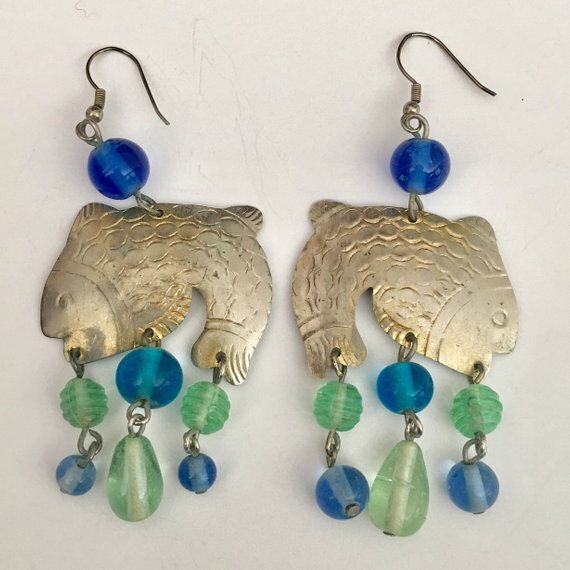 Now, I pass the torch onto you â€” partly for my own benefit, sure, but also because I recognize that finding great secondhand or sustainable earrings can be a little bit tricky. The key? The right search terms and parameters. But first, letâ€™s begin with the easy stuff. 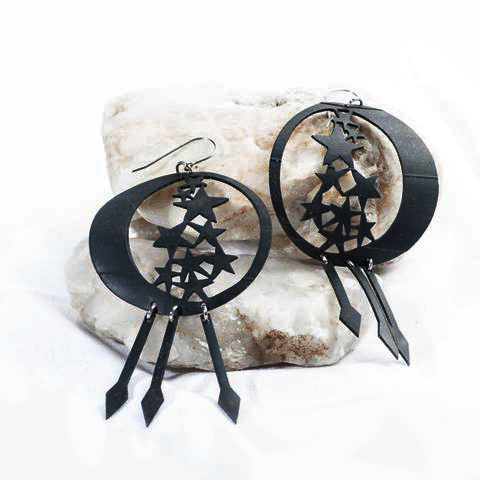 Alixandra Barron Designs: You know we stan a biking babe â€” well, these ingenious, eco-friendly dangles are inspired by designer Alixandra Barron Kleinâ€™s travels, with an emphasis on stewardship for our planet by reducing, reusing, and recycling materials like bicycle inner tubes. They can be found online or in retailers across the country. THE ART OF FATE: If I want to channel my best Elizabeth Taylor, this Boston-based brand is an excellent choice. 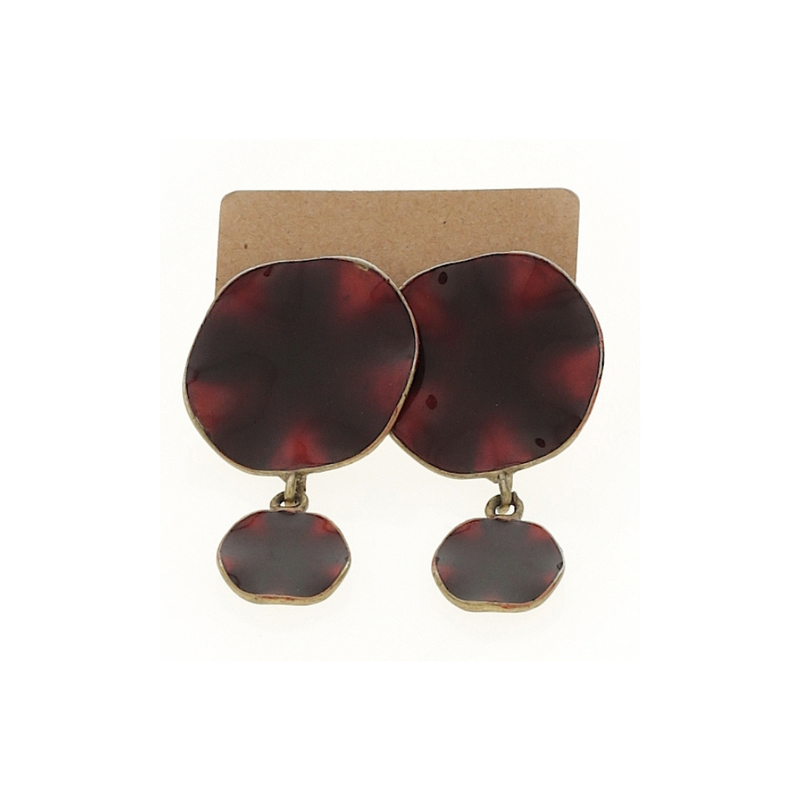 They curate quality, classic deadstock pieces â€” like the ruby drop earrings above. Check out our interview with founder Jackie Dacanay for the DL here. Mercedes Salazar: This retailer is a perfect dupe for Moda Operandi, one of my most coveted unsustainable marketplaces (I just browse, promise!). Their large pieces meet at the intersection of kitsch and elegance (my favorite) and feature trendy themes like fruit, birds, florals, and even crabs. Yes, crabs were trendinâ€™ in the retail space for a hot minute. 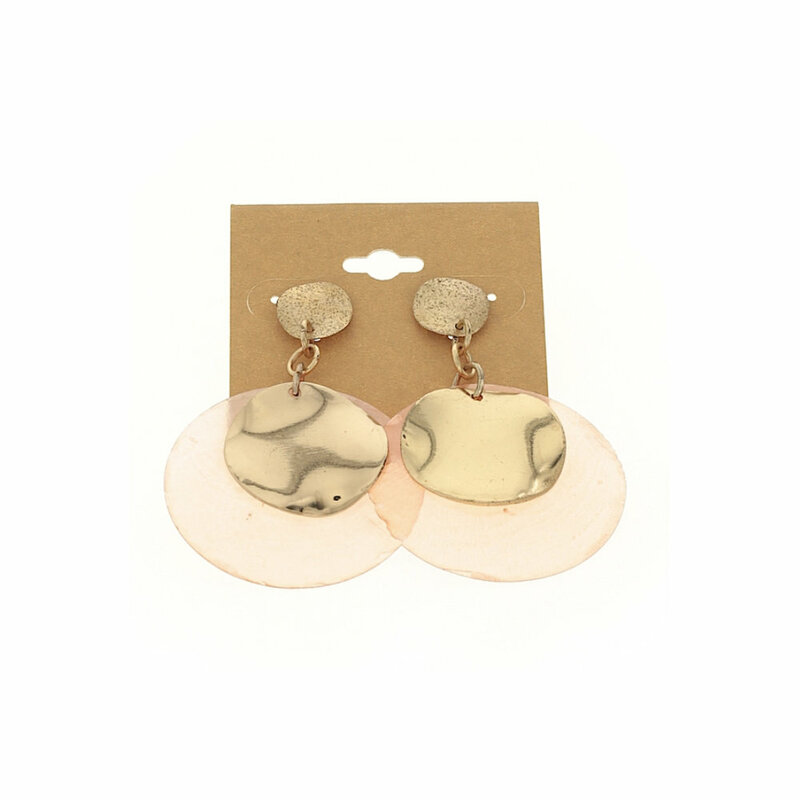 Lele Bombe: Seed beaded wares have also been trending this past season but in my heart, they are forever. 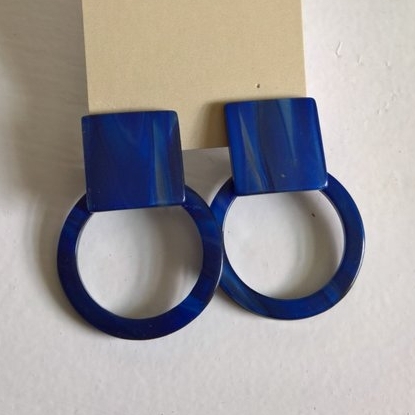 This conscious brand partners with Colombian artisans to make sustainable (and affordable) pieces with bright themes â€” a welcome diversion from all of the gold and white we see in the eco-conscious space when it comes to jewelry. ThredUp is kind of a dark horse in the thrift-o-sphere. It boasts a large catalog, which is unfortunately overshadowed by how itâ€™s sorted. It seems, to this frequent thrifter, that ThredUp only uses a handful of keywords for each item, mostly suited for the operation of the app and not the benefit of the user. For this reason, I really only recommend that you use the terms Dangle and Drop or Chandelier, with the occasional word added (like gold). Note that you can also narrow your search by several colors, too. Grab a digital or physical copy today! And itâ€™s not what youâ€™d think.